I thought I might make it up to you with some total awesomeness. Warning, it’ll take a few minutes for this post to load because it’s more picture heavy than my usual posts. Anyway, we brought home some souvenirs and one from Silver Dollar City (SDC) is so adorable. 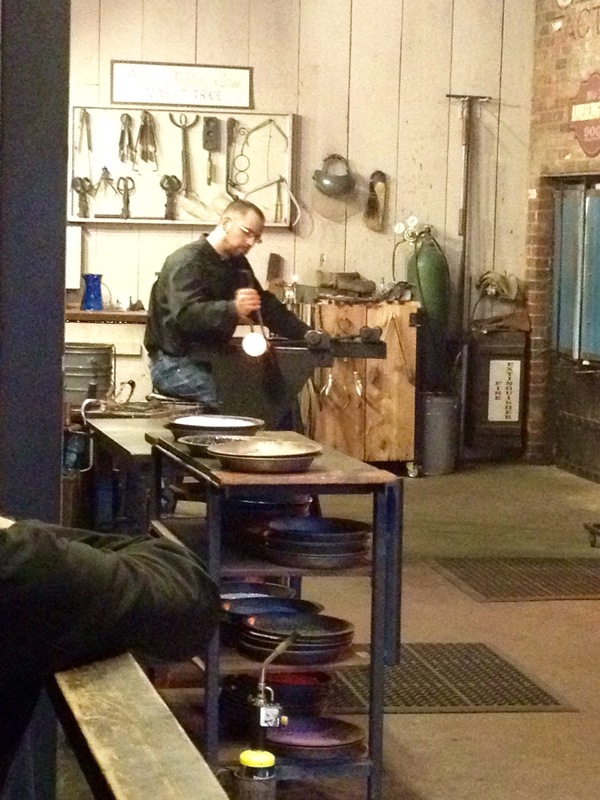 While we were there we watched the glass blowers make four pieces. 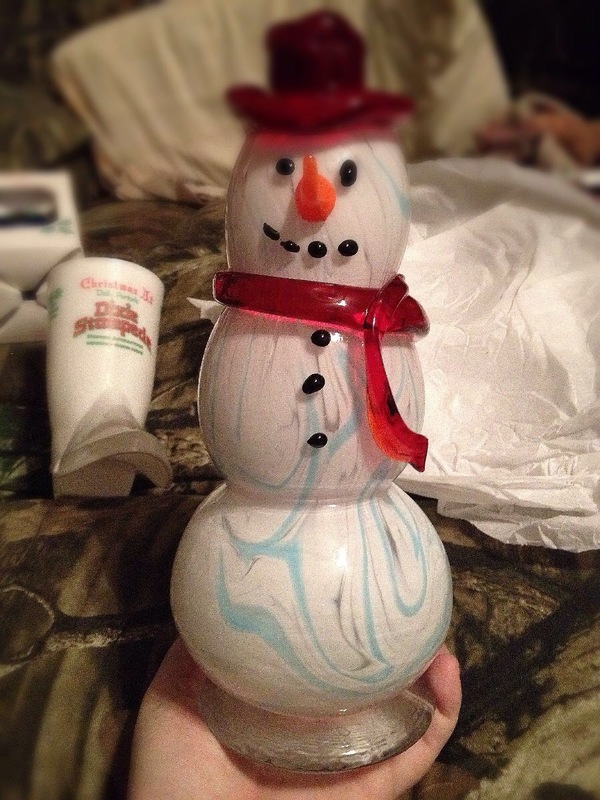 The first full demonstration that we caught was for a blown glass snowman. 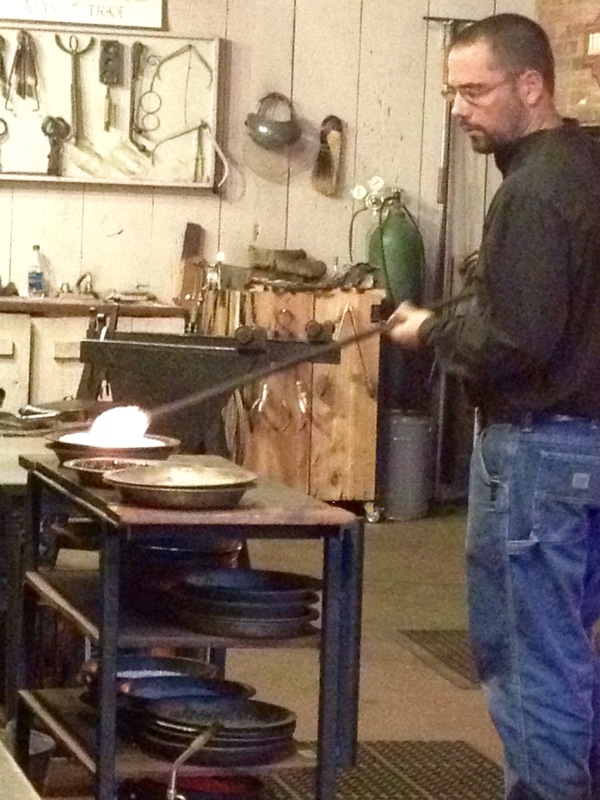 I have found glass blowing fascinating ever since I read about it probably fifteen years ago and the artistic side of me loves the creative process of it. They asked for color suggestions from the audience (red and white) to go with the otherwise clear glass, and slowly began to construct it, piece by piece. 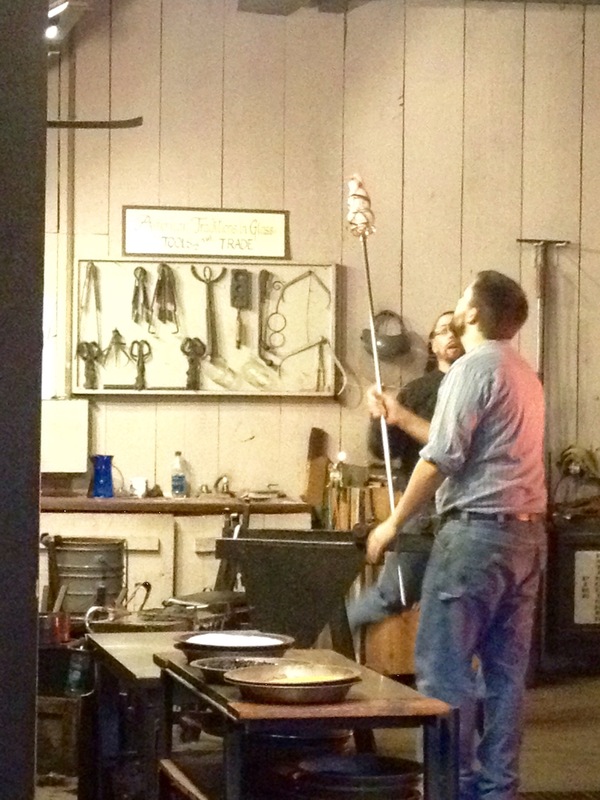 First he takes a dollop of glass and begins to cool, shape, and blow it into the proportion that he wanted. 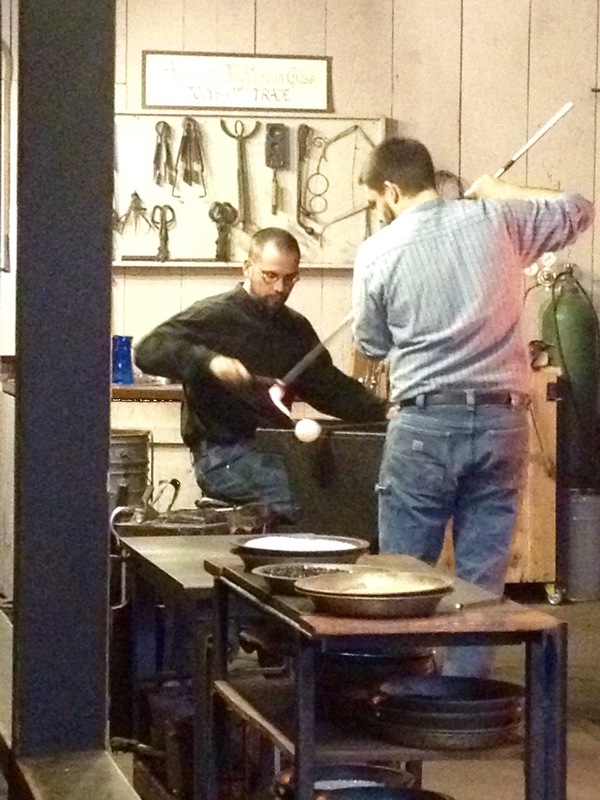 At this step he dipped the glass into shards of what actually dyes the glass. How cool is that?! 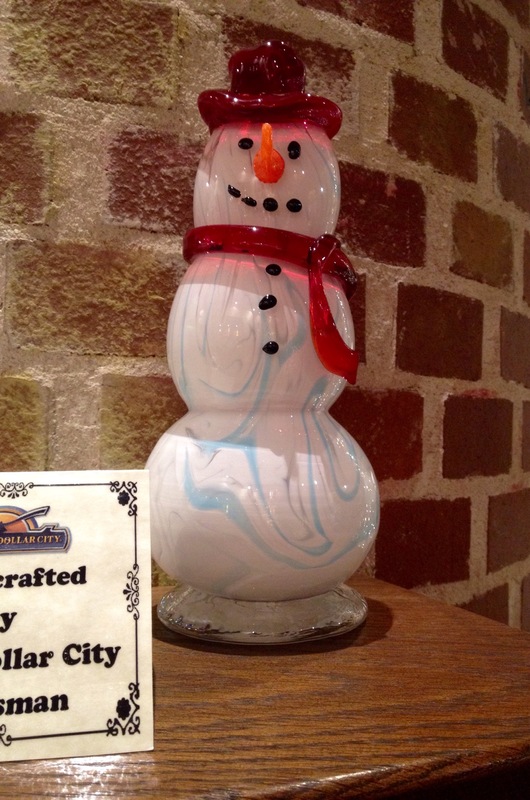 The other craftsman added a dollop of glass to make the next portion of the snowman, which the glass blower then manipulated and shaped. 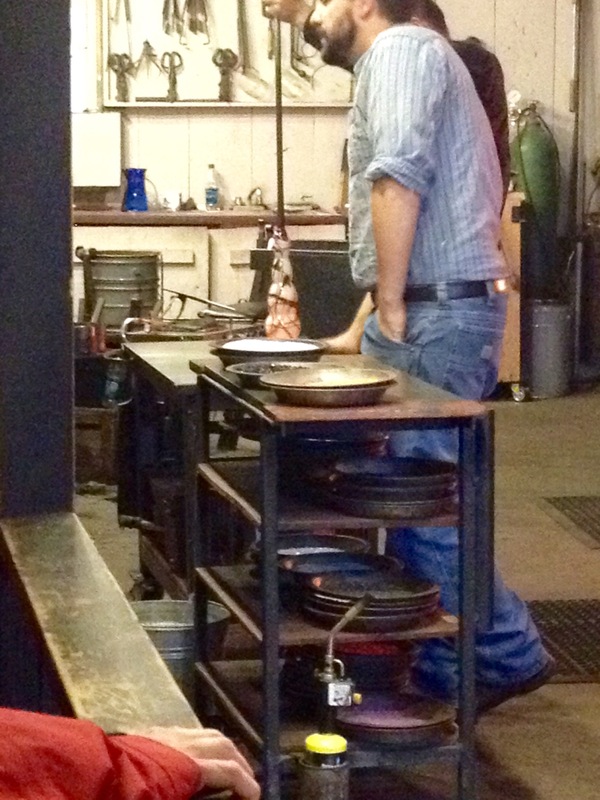 At this point he had finished shaping the new part and was smoothing it. They broke the connection to the blow pipe and set the partial snowman on the work table while preparing another stick to create a new attachment point, so that more sections could be added and worked on. I couldn’t get shots of some of the work due to their positions, but they quickly got the piece attached onto the new stick. 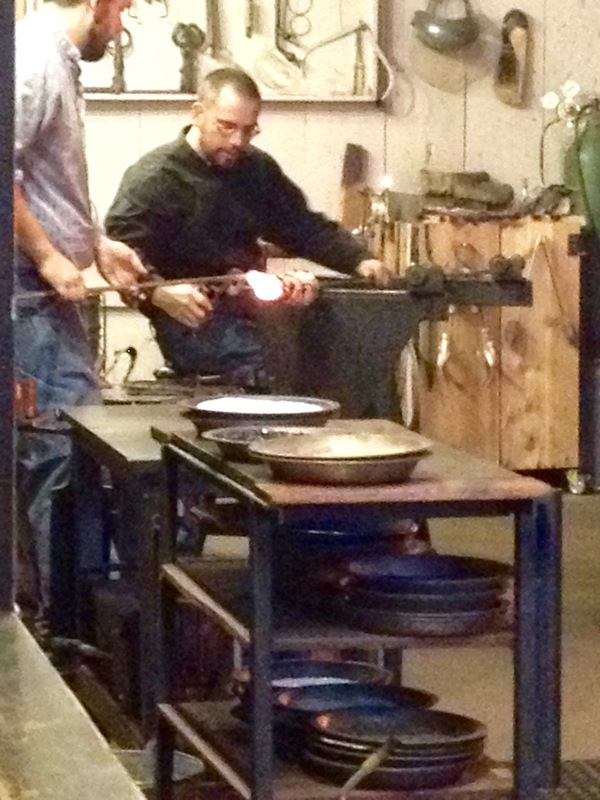 The next step was to add some glass to be shaped into a scarf. 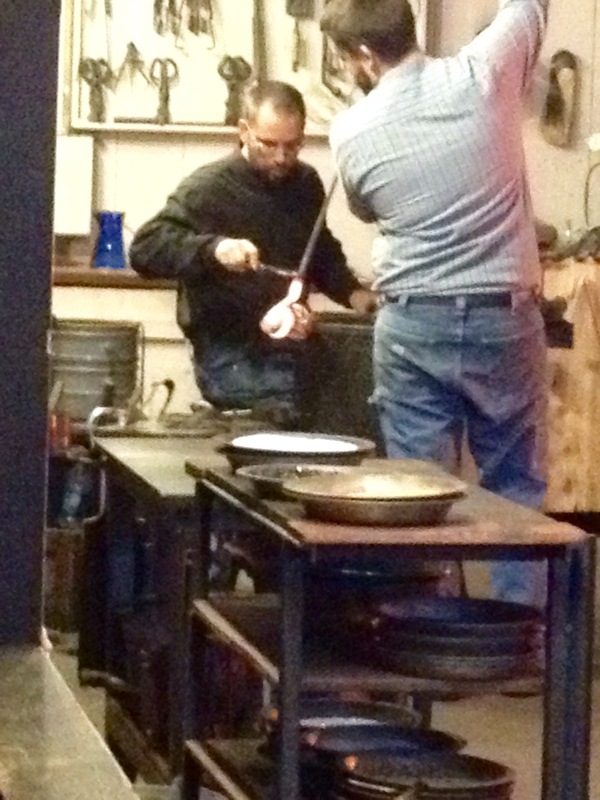 He did some shaping and working of the piece, which I didn’t get pictures of, and then they added a top hat. As the glass cooled from the manipulation the beautiful color of the top hat began to show, and he then moved on to an adorable little glass carrot nose. Sadly the piece had to go into the annealing oven for 24 hours to cool at a slow rate, so I don’t have a finished picture for that piece. 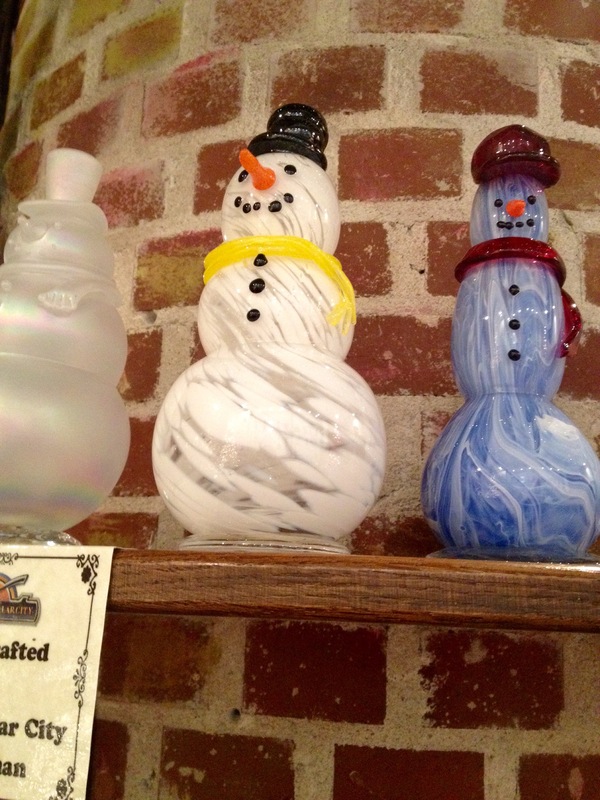 However, they had a few for sale in the shop in a variety of colors and styles, all handmade on the premises. And we brought home one very unique little guy, too. 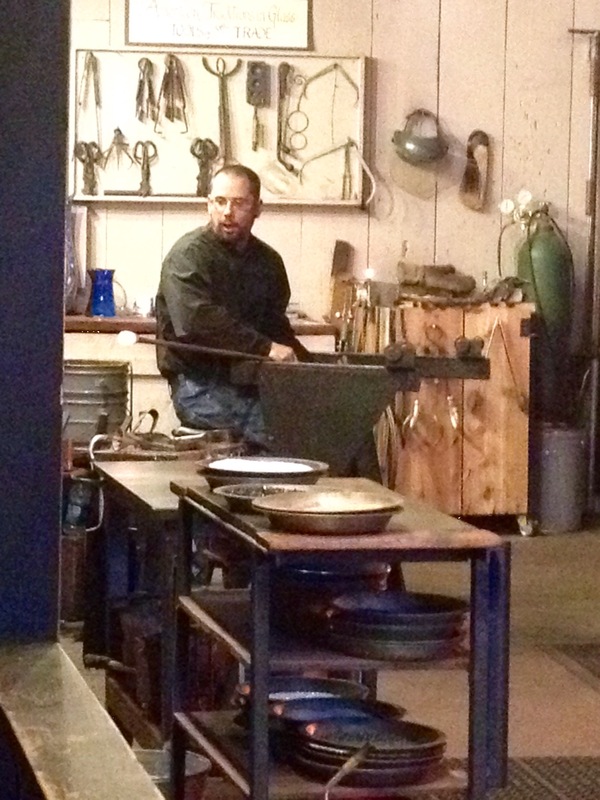 Posted in Uncategorized and tagged Branson, glass blowing, NaBloPoMo, Silver Dollar City. Bookmark the permalink.